Pharmacy is a profession in which you are required to comply with a lot of regulations. Many of these regulations create a mound of documentation. How do you store all of this required documentation? Does every pharmacy need to have a large file room in the back just to organize all the paperwork? We don’t think so. (At least not if you have a versatile pharmacy software system with multiple places for you to store important patient, prescriber, and prescription related documents.) Once you've decided to lessen your paper usage, it's time to decide what documents can and should be stored digitally. Many pharmacies, whether required to or not, keep paper copies of prescriptions for up to two years after the fill. However, you should also digitally store prescriptions and escripts just in case a prescription is misplaced or filed out of order. This is a safety net for audit purposes that ensures you won’t be in the middle of an audit and unable to produce a prescription. Whether they’re collected on your signature pad in the pharmacy, a digital device at your drive through, or on a physical ticket or tablet during delivery, you must have a way to store prescription pickup signatures for audit purposes. Your best option is with a system that offers digital signature capture at all points of sale, so your signatures can be stored automatically. If your software doesn’t offer that, you can always scan in hard copy tickets and save to the appropriate file. In larger pharmacy settings where you may not be on a first-name basis with your entire customer base, a stored ID is a good way to verify a patient’s identity on any prescription. This is especially true for all controlled substance and PSE sales. A digital copy available in the patient’s file is much easier to reference for verification than a scanned paper filed away. It’s a second layer of protection for you and your patients. Your pharmacy software should offer a location where you can scan in hardcopies of insurance cards and coupon cards for reference. Having a photo image of the insurance card allows you to quickly verify group and patient numbers if a claim is rejected without ever having to reach out to your patient. Also, scanned coupon cards can easily be referenced for expiration dates or other stipulations that may cause your patient’s total out-of-pocket cost to be other than expected. The form produced when you enter the ingredients for a compounded medication into your pharmacy software system is a great document to keep for reference. You can scan it in as a secondary document to their prescription. 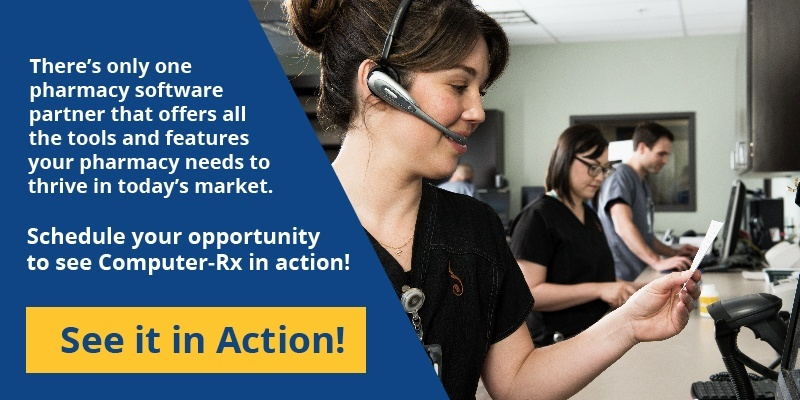 This could help if you have trouble with collecting reimbursement or need to look back at your formula for refills or new prescriptions for the same compound. With electronic faxing, keeping digital copies of important faxes is easy. You can likely search through archives of recent faxes, organized by date and not have to worry about shuffling through papers that may or may not have been thrown away by a staff member while tidying up. However, if you are still receiving paper faxes, it’s a good idea to scan in some faxes and save to a patient’s file, especially communications from physicians. If you require your med sync patient to fill out a form, you should keep a copy in their patient file. This allows you to go back and reference their preferences on any new prescription they come in with. This is another great form to scan in and keep tucked away for patients who request brand drugs. You’ll send a copy to the insurance company to justify the brand claim, but it’s a good idea to keep an extra saved in your software system in case you need it during an audit. If your paper filing system is taking up crucial space in your pharmacy or functions as organized chaos, maybe it’s time to move some of your paperwork to digital. 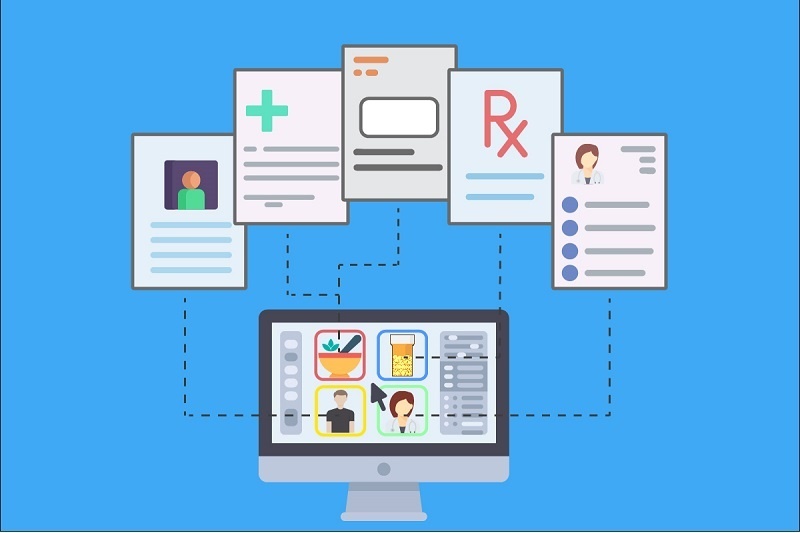 You may not be able to move it all, but digital documentation management can certainly alleviate some of bulk and provide an easier solution for finding important documents in your pharmacy. There are systems on the market just for document management. But, why spend more when you could have it all in one place?